Attending school at MAST at FIU Biscayne Bay Campus has given me the opportunity to test the water quality of Biscayne Bay since it is right at my fingertips. For the past two months now, I have been testing the water of two different areas of the bay; one is located near the beach and the other is by a dock. Currently, the water quality of the beach appears to be healthier than the one at the dock; meaning that the water on the beach has a pH of 7 and 9 ppm of dissolved oxygen, while the water on the dock has a pH of 7 and 4 ppm of dissolved oxygen. Of course more data needs to be collected, which is why I have taken the initiative to work with my AP Environmental Science teacher to test the water quality of Biscayne Bay at different sites. With the help of the EarthEcho Water Challenge Kits and the LaMotte SMART 3 Colorimeter, I will be able to run multiple tests of the water with the help of my SEA CORP class next school year. Although I test the water quality of Biscayne Bay, there are many sites that still need to be examined to verify if there is a source of pollution entering these waterways. During the past years, Biscayne Bay has been experiencing a decrease in the number of seagrass, corals, sponges, and fish populations due to frequent algae blooms and possibly other factors. It is likely that the untreated stormwater runoff from Miami Beach could be the cause of the algae blooms due to containing concentrated amounts of nutrients from fertilizers and animal waste. This has to be a wake up call for every person living in southern Florida because we need our waters to be clean and healthy. 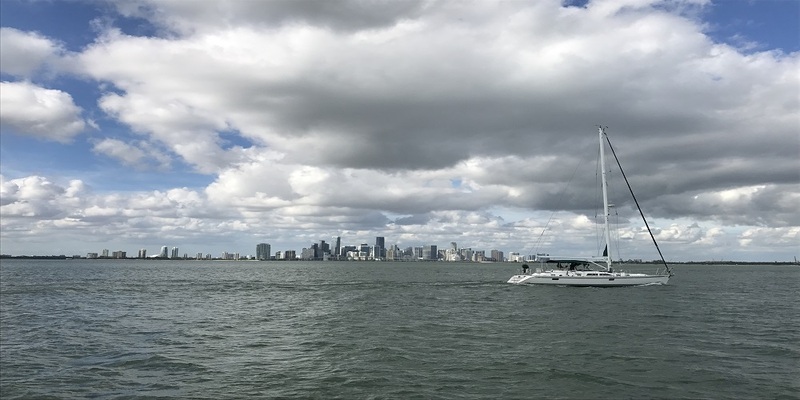 Since I am going to test the water of Biscayne Bay at multiple sites, I would like to work with Miami Waterkeeper to talk to our local officials about the water quality of Biscayne Bay and the steps needed to properly help the ecosystem flourish. Editor's Note: Maria Torres is an inaugural EarthEcho Water Challenge Ambassador, a group of young leaders working to engage their communities in water quality monitoring and conservation efforts while increasing their knowledge of water science and gaining skills to expand their work in this field. The EarthEcho Water Challenge Ambassadors is an initiative coordinated by EarthEcho International’s Youth Leadership Council and sponsored by Xylem Watermark.